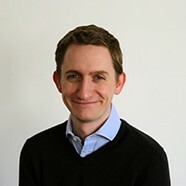 Dr. Ben Hudson qualified from University College London in 2004. Ben undertook Clinical Radiology training initially at Southampton University Hospital in 2009, followed by the Norfolk and Norwich University Hospital training scheme from 2010. Following successful completion of the Fellowship of the Royal College of Radiologists examination in 2012, Ben completed subspecialty training in cardiothoracic imaging at the Norfolk and Norwich University Hospital and Papworth Hospital in 2013/14. In 2015, Ben was appointed as a Consultant Radiologist at the Royal United Hospital, Bath. His major interests are cardiac imaging (with accreditation in cardiac CT and cardiac MRI) and thoracic imaging with a particular interest in lung cancer imaging.